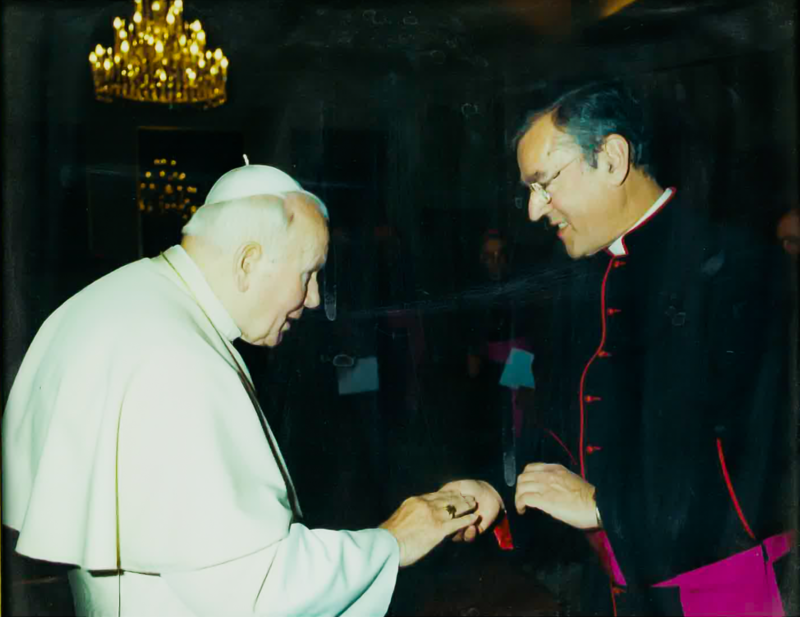 Monsignor Anthony Tocco has been our pastor for 33 years, arriving at St. Hugo in 1985. 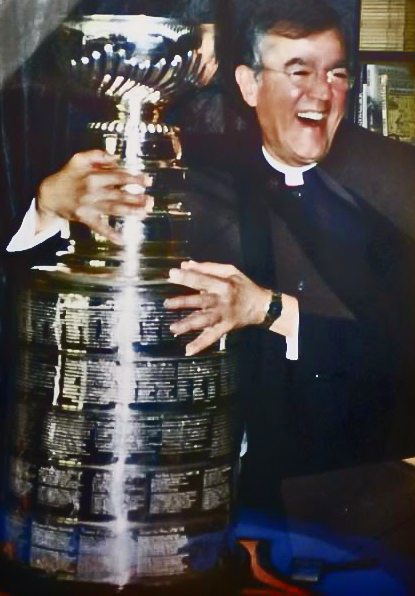 As our pastor, Fr. Tony is responsible for leading and shepherding all aspects of our parish and school. Following his ordination, Fr. Tony was given a five-year assignment to St. Veronica Parish in Detroit. In the fourth year of that assignment he was elected Episcopal Vicar for the SERF Vicariate, overseeing 15 parishes in St. Clair Shores, East Detroit, Roseville and Fraser. He served consecutive three-year terms as Vicar and, as he neared the end of his second term, Cardinal Dearden asked Fr. Tony to also serve as pastor of St. Margaret of Scotland, a troubled parish. Within two years, Fr. Tony had turned that parish around, and based on Canon Law at that time, he was assigned as a pastor-for-life of St. Margaret’s. Even so, Fr. Tony was always willing to do whatever the Archbishop asked of him. Therefore, in April 1985, when Cardinal Szoka requested that Fr. Tony become pastor of St. Hugo’s, he willingly accepted. One of Fr. Tony’s early accomplishments at St. Hugo’s was leading the construction of the church and parish complex. The project was completed in a remarkably short 13 months, and the new church building was dedicated in April 1989. The project had a cost of $6.5 million and was completely paid off in just five years. Under Fr. Tony’s leadership, St. Hugo’s school has been renovated and refurbished with investments in excess of $10 million (and growing). When he first arrived at St. Hugo, he researched constructing a new school building, but engineers recommended expanding instead, as the existing school was so well-built. Fr. Tony expected to leave St. Hugo after twelve years, but due to the Stone Chapel restoration which was occurring at the time, he was given a six-year extension. Six years later, Cardinal Maida informed Fr. Tony that he would be given another six-year extension. Since reaching his seventieth birthday, Fr. Tony has been given successive one-year assignments to St. Hugo’s. Fr. Tony with Pope John Paul II. Due to his work during the Pope’s visit to Detroit, Fr. Tony was elevated to Monsignor in 1991. During his time at St. Hugo Fr. Tony has officiated at 1,061 weddings. (In fact, this month, he is officiating at the wedding of a bride whom he baptized!) He also has been a mentor to 13 associate pastors. What is one of your most notable successes while pastor at St. Hugo? To get Sr. Barb Rund to come back to St. Hugo a second time. Shortly after she came back, Cardinal Maida was here to celebrate Mass at St. Hugo and he shook his finger at me saying that I stole Sr. Barb from the Archdiocese, where they had hoped she would become Director of Education. Gardening, cooking (Fr. Tony’s legendary gourmet dinners have been a popular auction item for many events), and staying active and fit; I used to be an avid racquetball player, but now do speed walking and visit the gym at least three times per week. 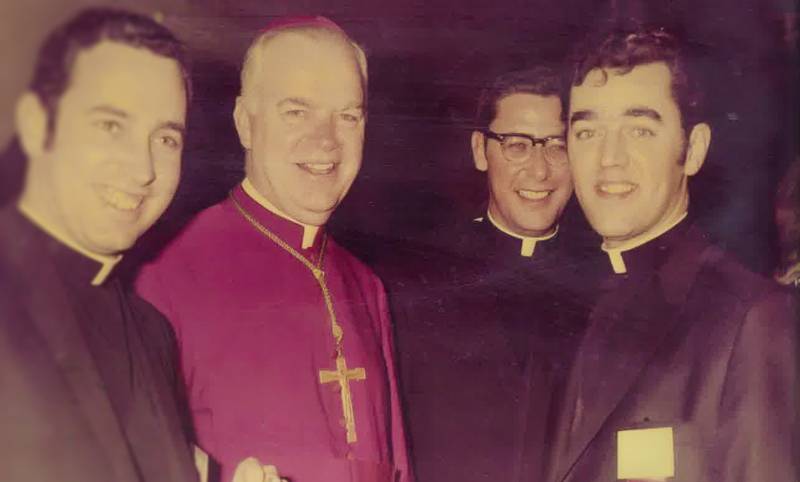 Several of our Archbishops: Cardinal Dearden because he was completely transformed by the Vatican Council, Cardinal Szoka because he was a great friend and mentor, and Archbishop Vigneron because he is the most transparent Archbishop we’ve ever had and he is a great friend. What is the greatest honor you’ve received? Having the St. Hugo Endowments named after me. Based on the rules we have put in place at St. Hugo’s (only withdrawing half of what the Archdiocese allows us to withdraw each year), the endowments are growing and will help in taking care of the future of the Parish for a long time after I’m gone. After the Church complex was completed, someone said that now I could relax. I said to that person, “I can never relax, if you only knew what I had in mind.” I never stop thinking about what comes next, and how we can continue to grow our Church and reach those in need. left — Fr. Tony and the Stanley Cup. right — Fr. 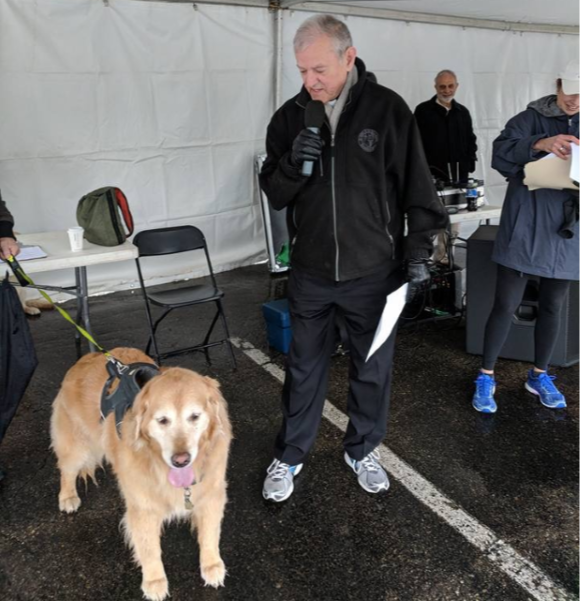 Tony & Sunshine at the Lighthouse Hunger Walk, May 2018.